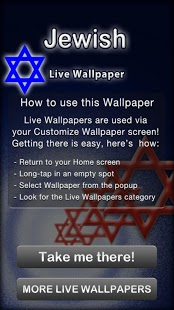 This free live wallpaper is ideal for all Jews. It is a perfect decoration for a phone screen since it is inspired by various beautiful images of Jewish religion, including the apocalypse. 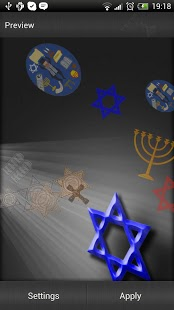 Enjoy this original live wallpaper and show your true “religious beliefs” in Judaism! Don’t waste your time – download the free app immediately! – Greatest LWP for Android! – Keep tapping on the screen and new pictures will appear! – This free animated background is your best choice! The first writings labeled as apocalyptic revelations in Jews were produced in Palestine in the third and second centuries BCE (Cohn 163). Like the Book of Revelation, which would recycle many of the apocalyptic motifs set down in the Hebrew Bible, the works are difficult and full of symbolism, but from them one can gather three basic eschatological concepts: the new world to come, the resurrection of the dead human body, and the Messiah (Novak 114). The Hebrew word Mashiach (or Moshiach) means anointed one, and refers to a mortal human being. Within Judaism, the Messiah is a human being who will be a descendant of King David continuing the Davidic line, and who will usher in a messianic era of peace and prosperity for Israel and all the nations of the world. Hebrew revelations cast a wide net, drawing on biblical prophecy (though Jewish apocalypticism predates Christianity, they later developed alongside one another), Mesopotamian and Zoroastrian traditions, and ancient Israelite myths. Though the visions change, the basic familiar framework remains the same: the dead are resurrected; every human being are judged and meted out his proper reward; God’s enemies are destroyed; the Kingdom of Heaven is established on earth. Personal and social eschatology are closely tied together; the journey of the individual soul is not complete until the world’s life cycle is finished, as well. Humans are resurrected and judged, and it is only after the world has ended and God’s Kingdom established that individuals will enjoy the fruits of their righteousness in life. 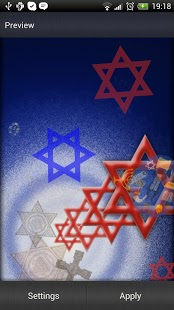 Enjoy having this amazing religious background inspired by Judaism and the people of Israel! This app is ad supported. It means that if you install it, you may get shortcut icons on your phone background which are actually links to sponsored apps. If you want, feel free to remove them anytime without affecting the application in any way. You may also receive certain notifications about similar applications. However, if you don’t want to get them, you can opt out at http://www.airpush.com/optout and http://opt.leadbolt.com/ or do it directly from the icon where it is available.